On June 7th, Naru Intelligence participated in Radio Euskadi’s Boulevard programme. Among 191 start-ups considered to participate in the pitch day, Naru Intelligence was selected to be one of 18 start-ups to present our pitch in the Liquid Hospital category. It has been a great experience which has helped us learn from the innovative approach of the Sanitas family. 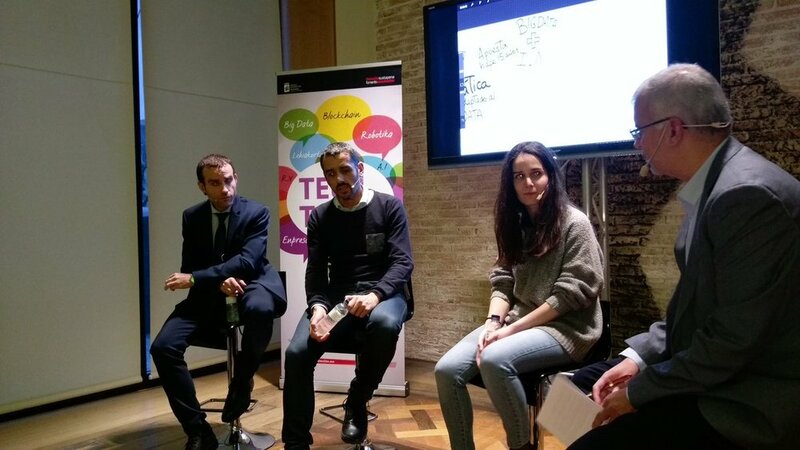 Last Thursday,15 March, Naru Intelligence had the pleasure of participating in the third edition of TechTalks organized by Fomento San Sebastián. We shared the debate with Alex Rayon (Deusto) and Alberto Sotomayor (Ibermatica) which was moderated by Enrique Rodal. We discussed about data, its management, processing, visualization, and the opportunities it generates. Edumotion visually summarized the concepts spoken in the session. IQS Tech Factory, is an accelerator focused on the industrial and technology sector, interviewed us about Naru Intelligence and our product Step. On Thursday, November 23rd, we participated in the radio program 1mySolution to talk about Naru Intelligence. During the interview, our CEO and co-founder Eider Sanchez talked about Naru Intelligence, the support we received from different entities and she described our product Step. We published an article about Naru and Step in Hospitecnia, which is a hospital architecture, engineering and management portal founded 15 years ago. We describe the problem and the Step tool. The journalist Aida Corón, from the catalán business newspaper Viaempresa, has interviewed us to talk about Naru Intelligence and our product Step. We were pleased to present Naru Intelligence and our Step product at the presentation of the Euskaltel StartUps initiative. Euskaltel StartUps wants to promote entrepreneurship and innovation in the Basque Country. It wants to help new companies in their early stages. In this first call they will support 100 start-ups. On Saturday 16th September, Health 2.0 Basque was interviewed in the radio program “Desconozco que desconozco” of Onda Vasca. During the interview, they discussed the current digital health situation and the Health 2.0 movement. They also described the cases that participated in the latest Health 2.0 Basque event held in June at the Digital Health Congress, where Naru Intelligence participated with What About Technologies Norte and Patia Diabetes. Naru Intelligence presented Step last week in the congress Agora Bienestar. Step is a system for the improvement of the quality of life of cancer patients. We participated in the last session called “I+D+i The future of well-being” together with DeRobotica, ClassOnlive and Iwopi and moderated by ANEPA. Each participant presented their activity focused on the well-being of people. Thanks Agora Bienestar for giving us the opportunity to participate in this congress on personal and professional well-being. It is becoming a reference platform to consolidate integral well-being as fundamental for developing and improving of the society. Up! Euskadi, the Basque entrepreneurship plan promoted by the Department of Economic Development and Competitiveness, interviewed us about our product Step. Last Friday, June 16, we presented Naru and our product Step in the Second Chapter of Health 2.0 Basque, which was held in the Digital Health Congress "Innovating to advance" in Donostia. We want to thank Health 2.0 Basque and the organizers of the Digital Health Congress to give us the opportunity to participate in this great event. Up! Euskadi, the Basque entrepreneurship plan promoted by the Department of Economic Development and Competitiveness, interviewed us about Naru Intelligence and our product Step. 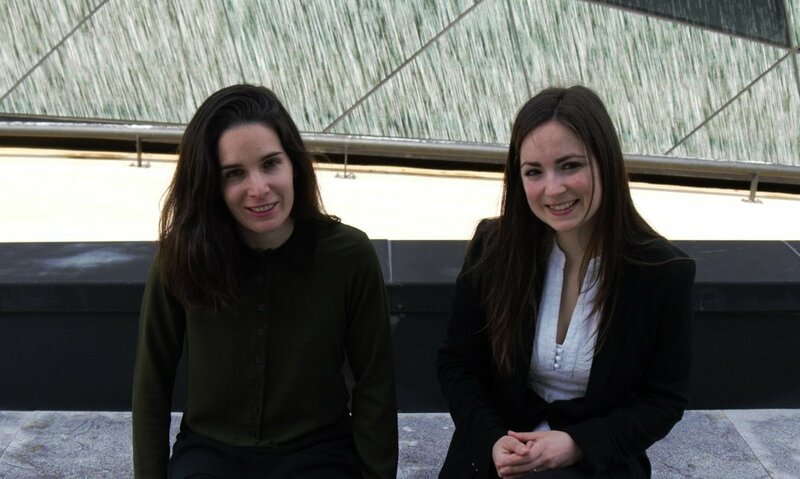 Naru Intelligence selected for the IQS Next Tech startup acceleration program! Yesterday Naru Intelligence assisted to the kick-off event of the IQS Next Tech startup acceleration program. The selected 10 startups were presented at the event. Thank you very much, IQS Tech Factory, for this opportunity! We look forward to learning from the experts during the next 6 weeks. Health 2.0 Basque has published today an interview to Naru Intelligence. Naru intelligence has been selected by Health 2.0 Basque to participate in their Chapter II, to be held within the European Congress of Digital Health “Innovating to advance” in Donostia on June 16. Read the interview HERE (Spanish only). On June 16, Naru Intelligence will participate in the second Chapter of Health 2.0 Basque, to be held within the European Congress of Digital Health “Innovating to advance” in Donostia. We will introduce our Step product, which is a system to personalize the care of breast cancer patients. Step analyzes data to identify patient profiles in which cancer treatments have been effective or not. Currently the context in which treatments fail is not saved nor analyzed, and precisely this is the value that Step provides. We integrate clinical information with patient reported follow-up information that is not gathered currently. Such new information is collected using the Step App, a mobile application for the patient. Step has now been applied to breast cancer, but it can be also extended to other cancers and, in the future, to other chronic diseases. Meet us at Health 2.0 Europe! Save the date: May 3-5th, come to our stand at Health 2.0 Europe! As a beautiful Japanese proverb says, "even the longest journey begins with a single step". With this wise popular saying, we want to start our new journey, our new project: NARU. In Japanese, NARU means to evolve, to become something better. We work to apply our knowledge and existing technology to the biomedical field, in favor of a better society. NARU brings order to the chaotic nature of medical data. It uses medical records, quality of life measurements and genetic references to compare and relate through statistical analysis. That is, to evolve and facilitate the understanding and visualization of this amalgam of information, seemingly unconnected, through an exhaustive population analysis. These types of studies derive, for example, from a useful stratification of patients and the correct identification of their respective profiles. In this way, we can conclude on the most effective treatments for each case. NARU personalizes biomedicine. It is a configurable tool to optimize biomedical services, to go further. Step by step, we work and commit ourselves to change our present and improve the future. Do you want to join us in this journey?